I was trying to think how I wanted to celebrate my very first blogiversary here at Diabetically Speaking. At first I thought of highlighting a favorite post from the past year, like this one, or this one, or even this one. But then I decided I wouldn’t do that. That would just be shameless. Instead of sharing another one of my favorite posts, I decided to share the story of how Diabetically Speaking got started. That is much more important than a post that I think stands out. In 2007, a best buddy and I were out on A1A in south Florida going for one of our ritual weekend road bike rides. At some point he and I got to chatting about how I deal with my diabetes while we’re doing our long bike rides. That is far from a short discussion, but as we talked, I realized that I had a lot of experience with this disease. I had been living with diabetes for over 25 years at the time. Then to hear someone who doesn’t even have diabetes be so interested in my story, it really got me to thinking. What if I had a place to share my life with diabetes, and to be a voice for those that don’t have one? I really thought hard about it as we ticked off the miles, and I left the bike ride that day so excited about my revelation of how I needed to start a web site called Diabetically Speaking to get my story out there. The idea didn’t get much in the way of support though, and it almost immediately lost momentum. A year passed before the idea came up again. I purchased the domain name and got started developing what would eventually turn into what you are reading now. Unfortunately, I was going through a really rough time in my life, both personally and professionally, and I got as far as typing the name Diabetically Speaking in the blog title area before the idea ran out of steam yet again. Almost two years passed where the only attention that Diabetically Speaking got was my annual renewal of the domain name and the server space that it was sitting on. 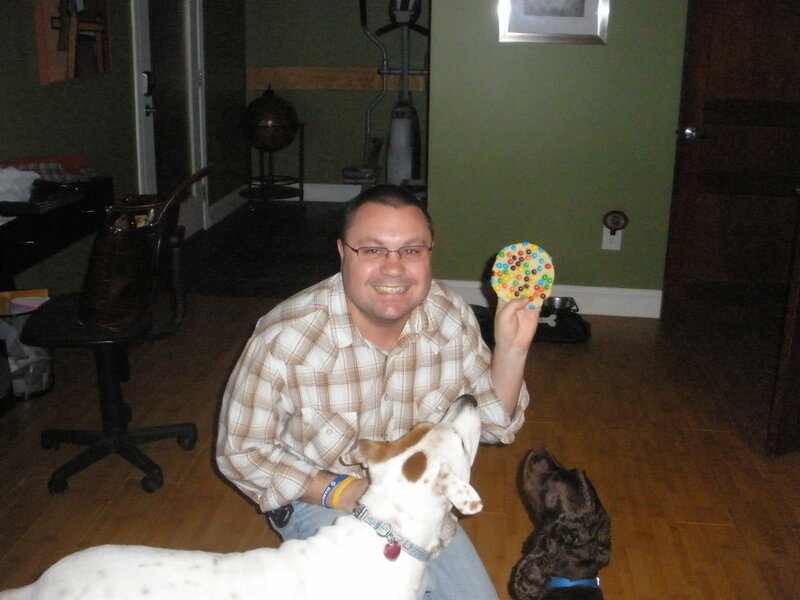 In February of 2010 I met A-Flizzle, and I had decided shortly before we met that I was done with living my life with diabetes in the closet. There is so much more to me than just diabetes, but diabetes is a very big part of who I am. Just about every decision that I have ever made was done so with diabetes in mind. The first time we met, I told her that I had diabetes. I may have also told her that I was bionic since I had the insulin pump on me and all, but still, for one of the first times in my life I didn’t hide my diabetes and downplay it as if it was no big deal. And for one of the first times in my life, the person whose support I needed most, even if I didn’t quite know it yet, didn’t downplay my diabetes either. Without support, there is very little in our lives that we can have success with. This blog hasn’t always been a success, and I don’t expect it always will be. We don’t grow by always succeeding; we grow by failing and learning how to do things better next time. I just hope that both me and this blog are here for a long time to connect, share, and be the voice for all of those with diabetes who are still searching for a voice of their own. Thank you all for supporting Diabetically Speaking for the past year. Maybe next year we will all be cured and I can rename this blog to Diabetically Spoke. seriously dude, i am SO GLAD you started blogging, and that i found it. and that i have you for a friend. So proud of you and your journey as a writer. You have a unique voice and your perspective is both humorous and touching. Here’s to many, many more years of blogging–hopefully not always about living with diabetes, but always about being Martini–the best boyfriend in the world!! Yay, happy blogaversary!!! Love the idea of celebrating with a big cookie. That’s just perfect. 🙂 Miss you and A-Flizzle! Martin, I am so happy you are blogging and are a part of the OC. Your friendship means a lot to me and I appreciate you always being there for me! You are awesome!